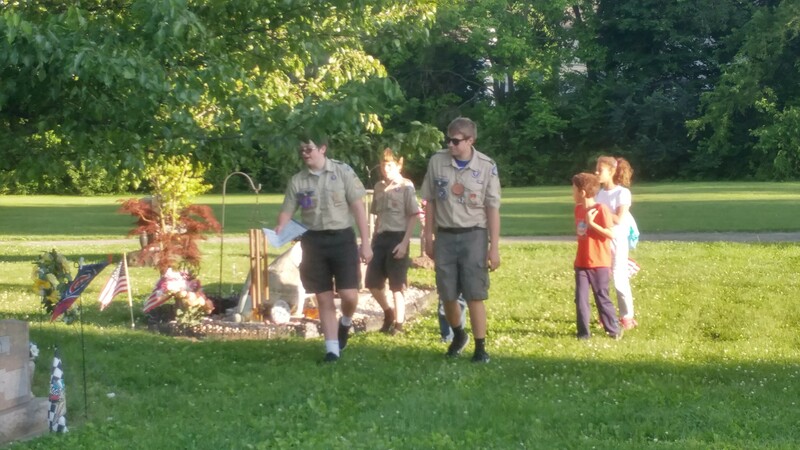 Troop 343 continues to give back to PIke Township: On Monday, May 22nd members of the troop “dressed” approximately 200 graves of veterans for Memorial Day in Bethel Cemetery located in the 5200 block of W. 52nd St. Attached are some photos of the event. 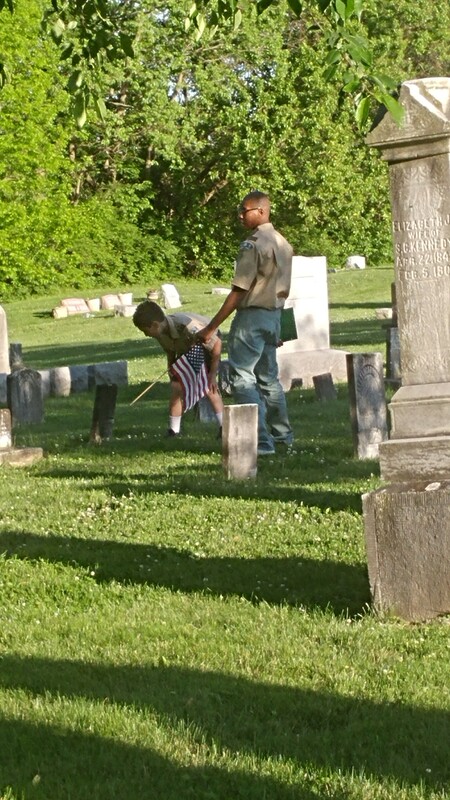 Eagle Scout candidate Jonathan Appleton recently completed his Service project at the cemetery also. A large amount of brush was removed revealing several headstones that had been obscured for decades. Scouts also cleaned several headstones with a special fluid that preserved them and still allowed them to not be damaged during the process. 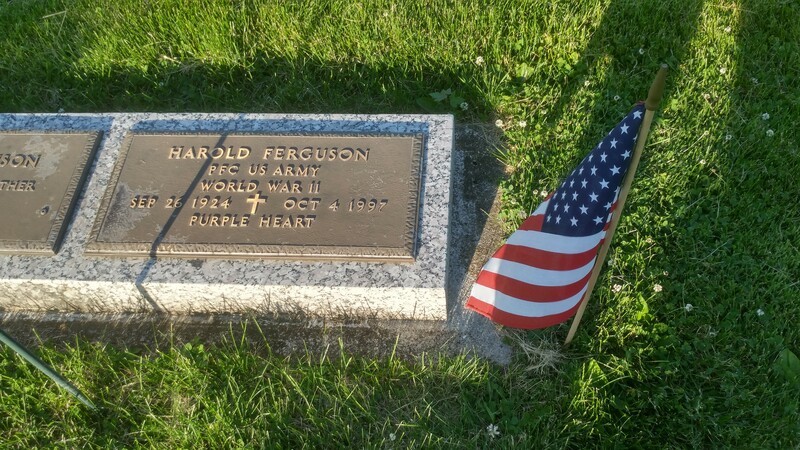 Remember your unit can do grave dressing this Saturday with American Legion Post #3 at 7:30 am. Be there for breakfast, served by the Post members. 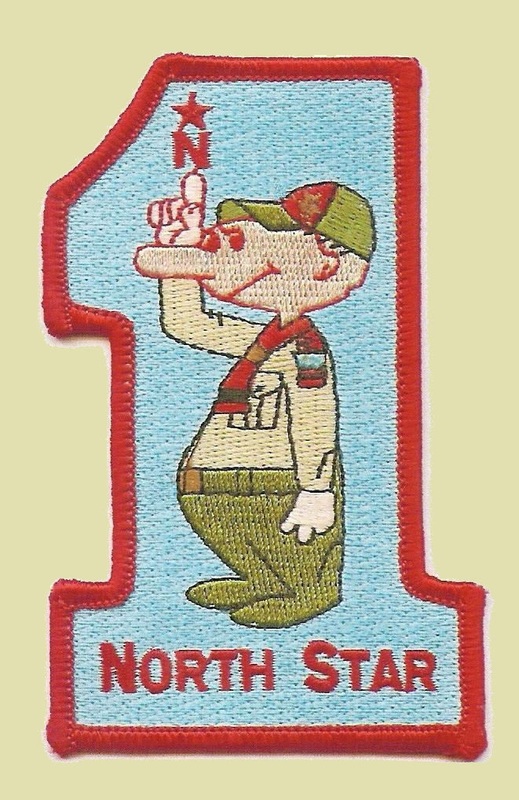 The Post Commander Rees Morgan, a long-time scouter in North Star, too, will have some remarks and then give the Packs, Troops, Crews, OA Chapter members, and Firecrafter Ember members present their assignments among Union Chapel Cemetary and Crown Hill Cemetary. Last year we had the better part of 120 scouts, scouters, and family members present. Let’s try to beat that attendance. This entry was posted in Community Service, News, Patriotism.